The current release comes from Ron Deacon - the Ella Rosa EP. With his records on Workshop and Farside Records. Ron Deacon has been well known among insiders for a fair while already. Now the next record on his own label is coming up. With a remix by Filburt c.e.o. 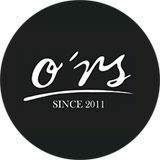 of O*RS Records completes the record. 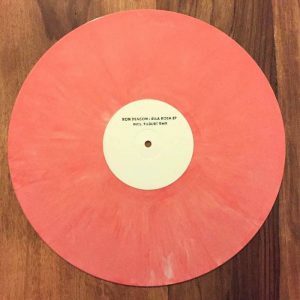 As usual the new RDF record comes to its fans in a special unique Vinyl, this time in pink.The track Rosa knocks at first softly, like a visitor knocking the front doors to a club, before moving to the bar. A guitar chord invites the guest to enter the dancefloor until the track carries to its full potential at high volume. 2605 takes you into higher spheres, like a bird the track soars up into the clouds. Finally, emotion-lade, you end up back in the here and now. As the third track on the EP - Ella' convinces with a straightforward line right from the start, and ends by leaving the listener with the day-dream calmness of a sunny autumn day. With his remix of 2605 , Filburt delivers a skillful and as always laid-back reinterpretation with references to the eighties and the intention to continue moving people today.